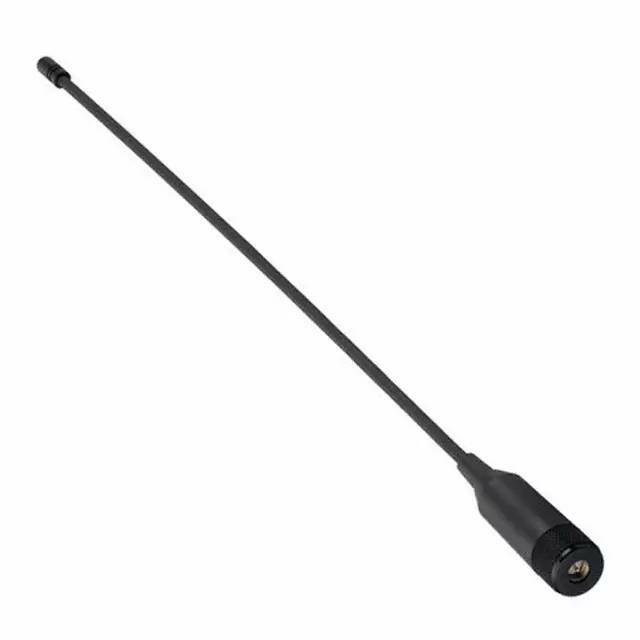 The Meteor FW.80 is a 0dBi 169MHz ISM band 1/4 wavelength monopole flexible whip antenna with omni- directional pattern optimized in the azimuth for wide coverage range in typical 169 MHz applications such as Wireless M-Bus metering. It also finds its usage in remote asset monitoring applications, alarms, paging systems and private mobile radio services. The Meteor has a IP67 housing. The antenna, like all low frequency monopole antennas needs to be mounted to a metal plate to radiate. For a waterproof integration to a metal box a waterproof panel mount SMA connector or cable assembly can be provided. TNC and N-type antenna versions are also available.